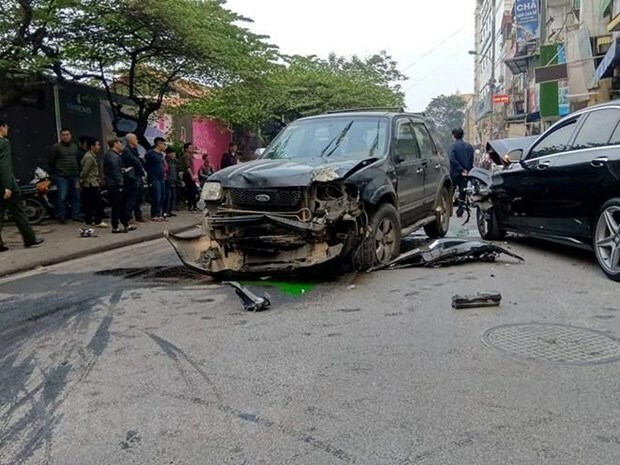 Hanoi (VNA) – The total figures for traffic-related accidents, deaths, and injured cases declined in the first quarter of 2019 compared to the same period last year, according to the National Traffic Safety Committee. There were 4,030 traffic accidents between December 16, 2018 and March 15 this year, killing 1,905 people and injuring 3,141 others. The respective figures decreased by 13.78 percent, 11.35 percent, and 13.4 percent year-on-year. Road accidents still accounted for the majority of the total with 3,980 cases, 1,875 deaths, and 3,125 injured people, down 13.67 percent, 10.97 percent, and 13.63 percent, respectively. They were followed by rail and waterway accidents, the committee said.